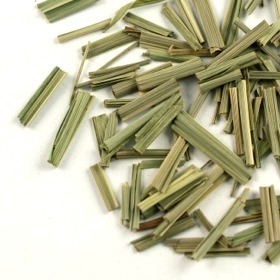 Lemon Grass Tea is a great herb for reducing a fever or relieving stomach cramps. It also aids in digestion, especially in children, and helps ease the pain of arthritis. Lemon Grass Tea can be enjoyed hot or cold. Naturally caffeine-free. Rinse tea cup and teapot with hot water. Use about 2 teaspoons for every 500ml of water. Infuse in hot water at 90°c (194°F) to 95°c (203°F) for 2 to 4 minutes for the first and second brewing. Gradually increase steeping time and temperature for subsequent brewing.